Nemo I Galapagos islands cruise ­ Availability and itineraries. The NEMO I Galapagos cruise itinerary is separated between North and South, offering both spectacular vacations. 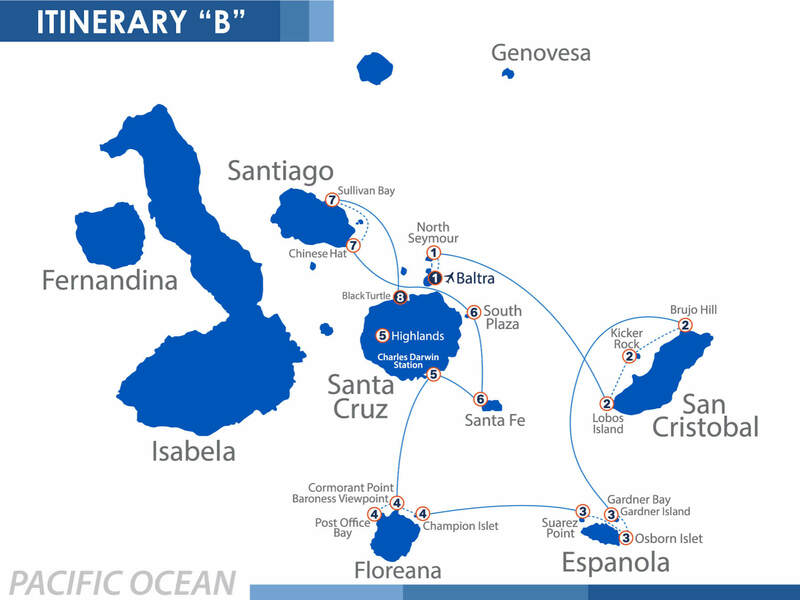 The NEMO I Galapagos cruise itinerary has been updated to add also 8-5-4 day options. The NEMO Galapagos cruise itinerary that navigates north is detailed below is divided into first 4 days then 5 days, all subject to NEMO I Galapagos islands cruise availability. The North NEMO I Galapagos islands cruise itinerary has different daily destinations that appeal to all interested in taking a captivating vacation along the equator. The South NEMO I Galapagos islands cruise itinerary takes a different avenue to explore the islands but is equally as magical. Either NEMO I Galapagos cruise itinerary will guarantee an unforgettable trip on your NEMO I Galapagos cruise. NEMO I Galapagos cruise availability is open year round servicing anyone at any time interested in taking our NEMO Galapagos cruises. Remember that if you have any additional concerns about confirming your NEMO Galapagos islands cruises, feel free to contact any of our customer service professionals to put your mind at ease. The NEMO I Galapagos cruise is an excellent choice for a family, a couple, or a sole-traveler. Both of the NEMO I Galapagos islands cruise itinerary begin from the moment you step off the plane in Baltra. You are welcomed by one of our professional crew members and taken directly to your NEMO I Galapagos cruise! You must be asking yourself which NEMO I Galapagos islands cruise itinerary do I choose? Well as you can imagine the Galapagos Islands in itself is an excellent choice so you cannot go wrong with any vacation. Since most travelers enjoy options, we provide several with either North or South NEMO I Galapagos cruise itinerary. NEMO Galapagos islands cruises boasts an all encapsulating vacation guaranteeing every passenger a grand time. Take a look at the more detailed NEMO I Galapagos cruise itinerary and NEMO I Galapagos islands cruise availability below. What is so ideal about the Galapagos Islands is the weather! Having the convenience of being located on the equator allows for all Galapagos cruises availability to be in-service year round. Whenever you choose to come visit one of our Galapagos islands cruises itineraries can fit your needs. 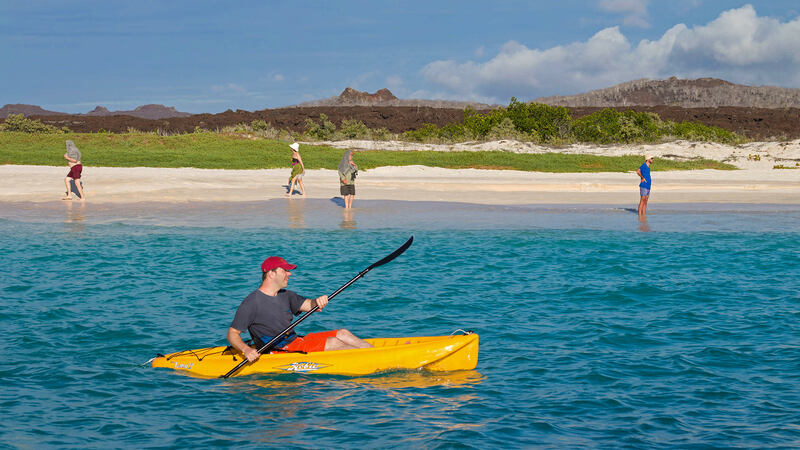 Our NEMO I Galapagos islands cruise availability has the option of an 8-5-4 day cruise. The NEMO I Galapagos islands cruise availability for 8 days runs from Sunday to Sunday. The NEMO I Galapagos cruise availability for either 5 or 4 day cruise depends on the itinerary and either begins on Sunday or mid-week. Galapagos cruises availability has the advantage of being able to take a vacation anytime throughout the year appealing to demographics all over the world. Our NEMO I Galapagos islands cruise availability can be any day, any month and let our talented customer service agents see how we can accommodate. Let us know what dates that fit with your schedule and we will take a look at our Galapagos cruises availability to see what fits best. If you are solely interested in the NEMO I Galapagos cruise availability then we will see which of the NEMO I Galapagos islands cruise itinerary fits best with your selected dates. If for whatever reason the NEMO I Galapagos cruise availability does not correspond to your open dates and neither does the NEMO I Galapagos islands cruise itinerary, then we can venture to our other Galapagos cruises availability and I am positive we can find a vacation that suits perfectly with your preferences with either of the Galapagos cruise itineraries. There are peaks in the Galapagos islands cruises availability. 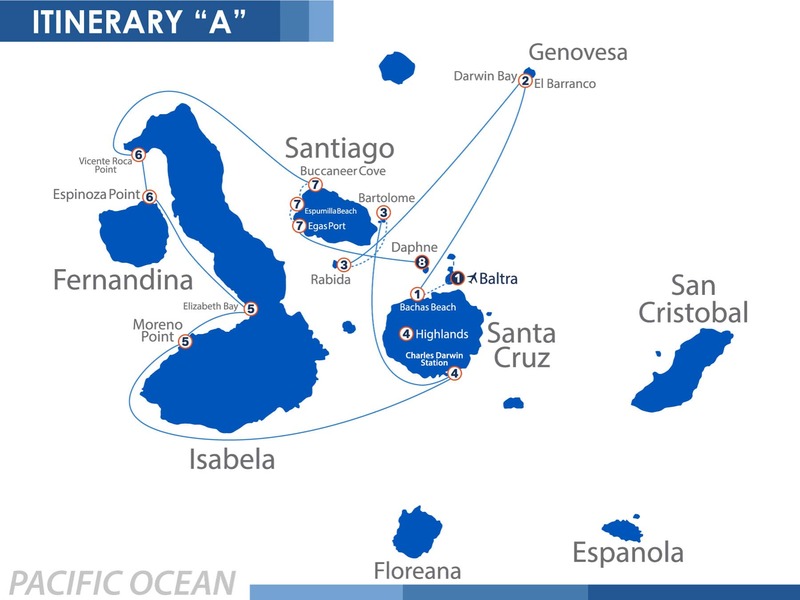 And there are slight differences among the Galapagos cruises itineraries. But as you can imagine a vacation on any NEMO Galapagos cruises is going to be such a fantastic vacation in such an exotic destination. We take a look at our NEMO Galapagos Islands cruises availability to adhere to your requested dates and see what Galapagos islands cruises itineraries we have available. If you are interested in a NEMO I Galapagos cruise, then we will see the NEMO Galapagos islands cruise availability and check to make sure that the NEMO I Galapagos islands cruise itinerary is what you had envisioned for your trip. All of our NEMO Galapagos cruises are spectacular and you will not hesitate booking a NEMO I Galapagos cruise. 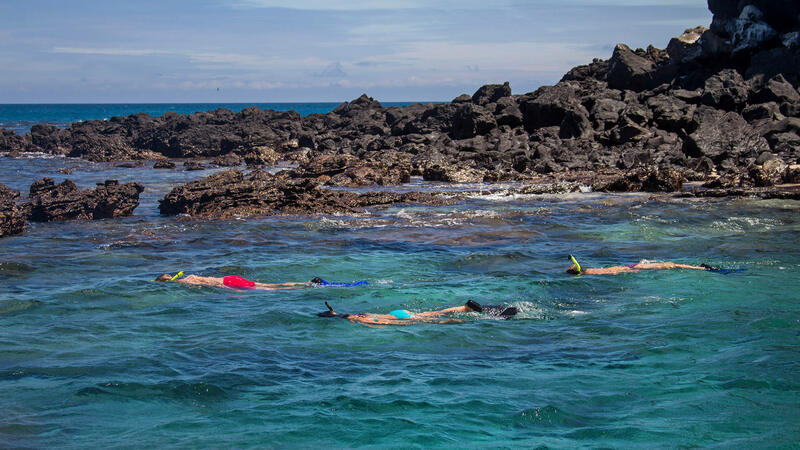 All NEMO Galapagos islands cruises include beautiful voyages through the islands and both of the NEMO I Galapagos islands cruise itinerary includes adventures, snorkeling, island hopping, animal and plant life watching. The NEMO I Galapagos cruise is an excellent option and our experts will review the NEMO I Galapagos cruise availability since it is open year round making it an even more ideal option. 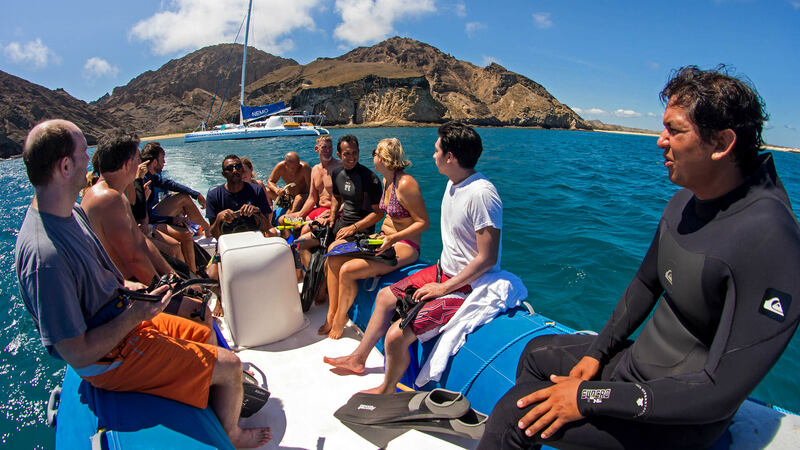 Can you picture yourself embarking on one of our NEMO Galapagos cruises now? After taking a look at the Galapagos Islands cruises itineraries that NEMO offers, you have a clear idea of what the vacation will be like. Speak with one of our customer service representatives and ask about NEMO I Galapagos cruise availability to see if it fits with what you are looking for, if not we are sure they can find one of our NEMO Galapagos cruises that will. All Galapagos islands cruises availability fill up quickly and our NEMO Galapagos islands cruises are not any different but we will do our best find something suitable. Contact us as soon as you are ready to book a vacation and let us take a look at the NEMO I Galapagos islands cruise availability. NEMO Galapagos islands cruises are the leaders in the industry and will provide you with an unforgettable voyage.